In his latest presidential campaign ad, U.S. Rep. Ron Paul, R-Surfside, attacks "smooth-talking politicians" — and the first example he cites is his newest rival for the GOP nomination, Gov. Rick Perry. In his latest presidential campaign ad — set to hit the airwaves in Iowa and New Hampshire, according to Politico — U.S. Rep. Ron Paul, R-Surfside, attacks "smooth-talking politicians" in what looks and sounds like a movie trailer and positions himself as the "one man" who has "stood apart." Among those supposed smooth-talkers: Rick Perry, pictured first in a litany of examples of "failed leadership" Paul cites, equating the Texas governor and recent entrant in the GOP presidential primary with Barack Obama. 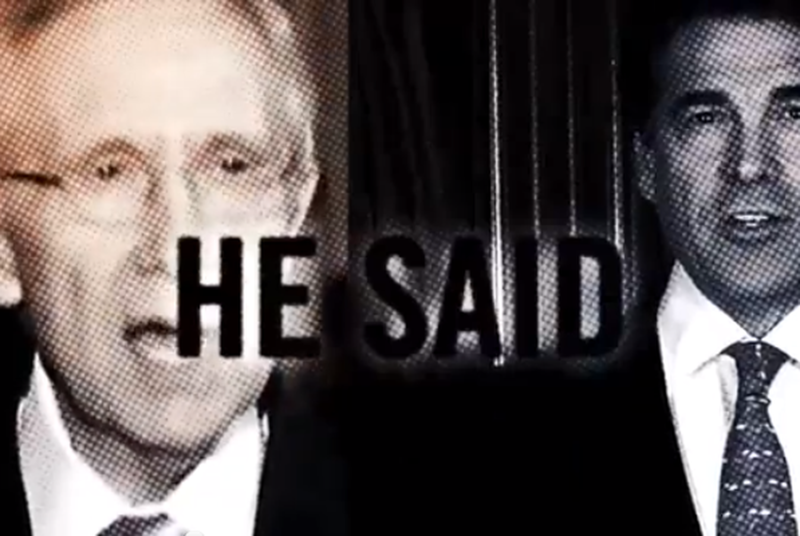 Fleetingly, Paul also shows Perry side by side with Senate Majority Leader Harry Reid, D-Nevada, as emblems of the "he said, she said" culture of blame and gridlock in Washington.